A few months on from our previous discussion of Unexplained Wealth Orders, (UWOs) there has been a further development in the fight against unaccounted wealth. As part of an investigation into his unexplained wealth, authorities have seized a diamond ring worth £1.2m from an Azerbaijani banker, purchased from Harrods. The Cartier ring, bought by banker Jahangir Hajiyev, who was jailed in 2016, was being repaired at a high-end jewellers’ store when it was seized by authorities under the “listed assets” provisions introduced by the Criminal Finances Act 2017. Investigators in the UK’s first ever UWO case are seeking to ascertain how the precious gem was purchased. The National Crime Agency (NCA), under legislation dubbed “McMafia laws”, successfully brought two UWOs against Mr. Hajiyev’s wife, Zamira Hajiyeva, in relation to properties worth a total of £22m. The new laws, which came into force at the start of last year, give investigators powers to look into the origins of wealth of those who are deemed to be politically exposed persons. These consist of individuals from outside the European Economic Area who hold highly influential public positions of power and are likely to be exposed to corruption and bribery investigations. Those also in the cross-hairs include persons suspected of having links to organised crime who are unable to explain how their wealth was acquired. Jahangir Hajiyev, was chairman of the state-owned International Bank of Azerbaijan from 2001 to 2015. In 2016, he was sentenced to 15 years in prison after being found guilty of fraud and embezzlement, charges he denied, and was ordered to repay $29 million. The authorities are now trying to ascertain how the couple were in a position to buy their substantial residence in Knightsbridge, as well as the Mill Ride Golf Club located in Berkshire, which was acquired through a Guernsey-registered company for £10.5 million in 2013. Authorities will hold the ring for a period of six months while their investigation extends further. A further 50 items of jewellery valued in excess of £400,000 have been seized from Christie’s auction house by the NCA due to suspicions about how the items were purchased. The jewellery includes a Van Cleef & Arpels pearl necklace worth £20,000 which was originally bought in St. Moritz in Switzerland in 2008. The items were being valued for Mrs Hajiyeva’s daughter. Mrs Hajiyeva is currently facing extradition to Azerbaijan over embezzlement allegations. There were unsuccessful attempts to overturn a UWO in October 2018. Mrs Hajiyeva is subject to a £500,000 bail bond and a curfew which is electronically monitored by tagging at her Knightsbridge home. Under her bail conditions, she is required to remain at home between the hours of 21:00 and 06:00 and to report daily at a local police station. She is not permitted to visit any international transfer hub or apply for travel documents and must stay within the M25. The case clearly demonstrates that banks and other institutions who deal with clients with high net worth need to be cautious. If they are aware that their clients obtained their wealth directly through crime then they could be held responsible under the money laundering provisions of the Proceeds of Crime Act, 2002. But this case extends far beyond banks and into jewellers and auction houses, who perhaps would not be so familiar with the offences of transferring criminal property. In addition, what this case shows, is that banks and other organisations who have clients like Mrs. Hajiyeva, will need to have policies and checklists in place for their staff in the event that a UWO is made. Their clients may want access to their paperwork to try to show the source of their wealth, as would law enforcement agencies. However, at the same time, any property held under restraint proceedings would have been kept away from the client. UWOs have the potential of creating a very dangerous situation for any institution that has dealings with persons who potentially could find themselves being the subject of an UWO. 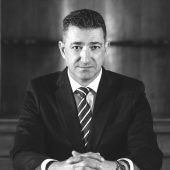 Admitted as a solicitor in 1997, George specialises in fraud matters and regularly conducts complex and high profile cases. He has particular expertise in advising clients who find themselves under active investigation by the Serious Fraud Office, Metropolitan Police, HM Revenue and Customs, National Crime Agency and the Police Central e-Crimes Unit. George also acts for individuals facing investigation under Medicines & Healthcare Products Regulatory Agency and health professional regulatory bodies.